Firms that publish complex or ambiguous annual reports might be trying to mask poor performance and could be inadvertently signalling a crash in their stock price, according to new research from the University of Alberta. 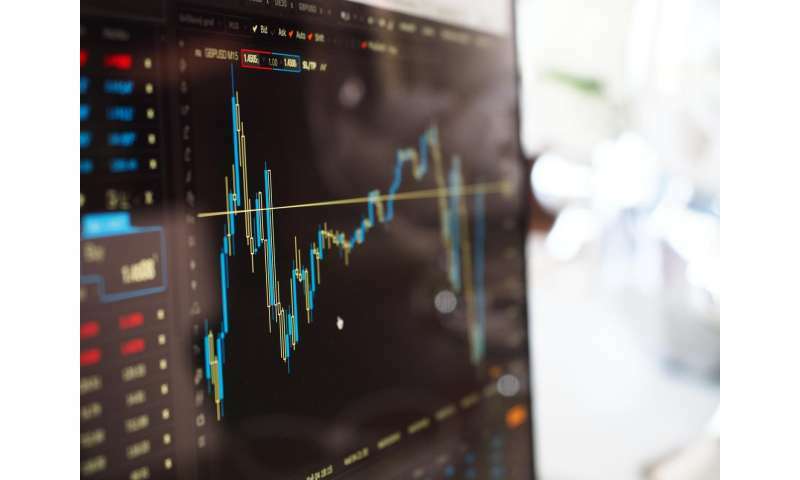 "Stock price crash risk is significantly higher for firms with less readable annual reports," said study co-author Ke Wang, an accounting professor in the Alberta School of Business. "This relation is stronger among firms that exhibit poor performance or unsustainable good performance, which is normally seen as bad news." Wang explained corporate financial reports employ both numbers and narratives to tell the story of the firm's past, present and future. And though the Sarbanes-Oxley Act passed by the U.S. Congress in 2002 makes it harder to hide bad news simply by manipulating the bottom line in financial statements, firms still possess a certain poetic licence. "Narratives provide free-form explanations for how the accounting numbers were presented as well as detailed descriptions of some business transactions or risk factors that are hard to explain solely with accounting numbers," he said. For the study, Wang and his team gathered all 10-K reports—an annual financial report required by the U.S. Securities and Exchange Commission—containing at least 3,000 words filed between 1994 and 2014. Using a sample filtering procedure, the group ended up with 52,879 financial reports from 7,012 unique firms. The reports were fed into a high-powered text mining program designed to flag complex words and readability issues in an effort to screen for potential stock crash risk. Ke's team defined a complex word as one with three or more syllables, minus a host of business-friendly words—such as corporation, company, directors, business, operations and telecommunications. "We found the results to be consistent with the argument that managers can successfully hide adverse information by writing complex financial reports, which leads to stock price crashes when the hidden bad news accumulates and reaches a tipping point," he said. And because corporate managers and CEOs are also driven by personal incentives when choosing how to maximize investors' perceptions of a firm's value, the more the firm's leaders have to lose, the more they will be inclined to complicate the financial picture. "The research finds that the relation between annual report readability and future stock price crash risk is more significant when the firm's CEO holds more stock options of the firm, which props up stock prices," he said. Wang added business and financial practitioners have been well trained to analyze risk and return, but training to identify and manage the varying degrees of risk is still in its infancy. "However, using textual analysis techniques to identify potential factors for screening crash risk could be of practical relevance for risk management applications," he said. The study, "Readability of 10-K Reports and Stock Price Crash Risk," was published in Contemporary Accounting Research. "Firms obscure bad news in financial reports, study suggests"
Wow, there's news, annual reports are full of BS and manipulation. "And because corporate managers and CEOs are also driven by personal incentives when choosing how to maximize investors' perceptions of a firm's value, the more the firm's leaders have to lose, the more they will be inclined to complicate the financial picture." A dullard with an IQ of 85 can tell you, anyone who can't look you in the eye, answer a straight question or talks in circles, is a Liar. Any investor (who is actually making money), knows not to accept any company's own evaluation of itself. Annual reports are nothing more than part of any company's marketing operations. Marketing = advertising = BS. If A=B and B=C, then A=C. Very simple. Sorry for 4 posts. Could not edit any of my first 3.